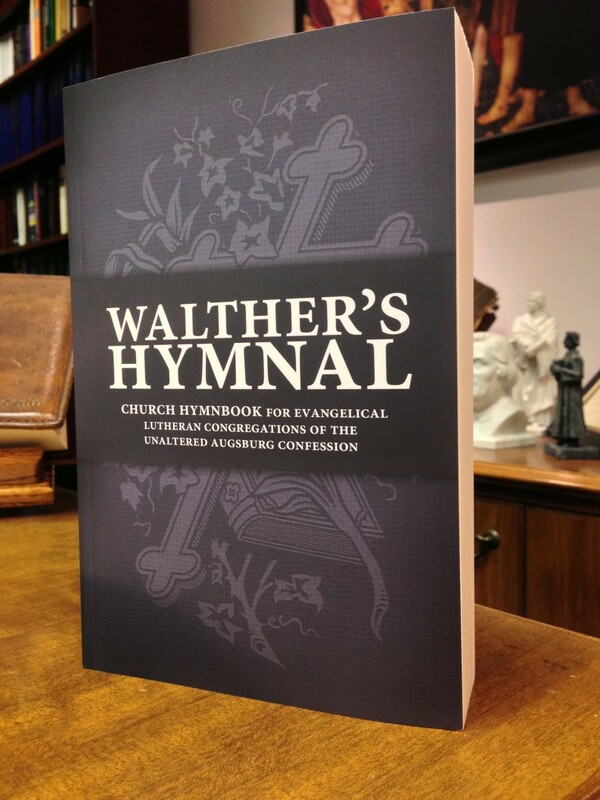 Saint Louis, MO—Concordia Publishing House (CPH) is pleased to announce the release of the English-language edition of Walther’s Hymnal: Church Hymnbook for Evangelical Lutheran Congregations of the Unaltered Augsburg Confession. 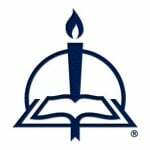 Walther’s Hymnal is the first of its kind: an English translation of the first official hymnal of The Lutheran Church—Missouri Synod (LCMS). This was the hymnal that C. F. W. Walther edited and used; it provided Christians throughout the LCMS a common experience during the Church’s early years in America, in the same way that Lutheran Service Book provides a common experience for us today. This is an invaluable resource for history enthusiasts, church musicians, and anyone who wants insight into how our grandfathers sang and prayed. This is a chance to share in that song and prayer of the saints gone before us. Walther’s Hymnal was published through CPH’s Peer Review Process. To find out more about Peer Review books, visit our website at cph.org/peerreview. Historically, why is Walther’s Hymnal so important, and how is it useful to us today? Walther’s Hymnal is a picture in our own language of what our fellow brothers and sisters believed, taught, confessed, sang, and prayed in their own language in days long past—a treasure partly lost during our synod’s necessary transition from German to English, and until recently only accessible to students or native speakers of German. It is a snapshot of what they thought was important and useful in the exercise of their faith. It is a product largely influenced by the synod’s first president, C. F. W. Walther, and as such is an important witness in the history of American Lutheranism. By such an examination of our forefathers’ writings, we are given a mirror to see our own situation more clearly. Though we may deal with different problems today, we are often blind to them by virtue of being immersed in our own writings so heavily, and this historical mirror acts as a counterbalance to that. Who will most want to read this book? Walther’s Hymnal will appeal to a range of people, from those with academic interests to casual historians to those interested in augmenting their devotions. But I think that whoever it is, those who will be most inclined to read, and re-read, this book will be the ones who like to sing and pray and be a Christian—who say, “Lord, have mercy on me, a sinner,” and who hear when Jesus says, “Come unto Me, you weary and heavy-laden, and I will give you rest,” and who respond, “Lord, I believe. Help my unbelief.” In my opinion this is the essence of what our forefathers present to us in this collection, and the kind of people they address, the kind of people that God creates through His Word. Why will they benefit from this book? The hymns, prayers, and readings of the church presented here offer solutions to an array of problems that we deal with in our daily life. They also speak with joyous conviction the confession of Christ that the church has made throughout the ages, and allow us to join in this with them in diverse and beautiful forms that harmonize with and vigorously and faithfully echo the trustworthy propositions of Scripture and our confessional books. The works of these Christian poets, if not always conveyed as poetically in translation, at least provide us with an apt expression of the sentiment that we as Christians know and feel but often do not know how to put into words. They are lessons about the human race’s deadly fall into sin, they are clear announcements of the good news that Jesus paid the price for all the sins of the whole world, they are formulas of praise and thanksgiving for all of God’s mercies, they are consolations for the mourning and afflicted from our brethren and our pastors before us, they are exhortations to a life of newness in Christ. Thus they are fitting frameworks for hearts and minds in which to meditate on and confess God’s Word. How did you come to be interested in translating this particular book? It all started as a personal project and a labor of love. When I converted to Lutheranism around 2001–2002, I became increasingly familiar with Lutherans’ exceptional body of hymnody, and increasingly enamored of it. In 2006, Lutheran Service Book came out, and that stirred this interest more. When singing in church or at home, I would take note of the authors and dates at the bottom of the page, some ancient, some medieval, some of Luther’s day, and some of the present. Upon further investigation into the history of our hymnals, I found that a great number of our Lutheran chorales had been lovingly maintained, translated, and handed on; I also found that some had not been translated, and I wondered why. I came to discover that some of them were very hard to translate, while others expressed sentiments which have passed in and out of favor at various times in the past. I went on a search for translations of these lost hymns and was granted success to a degree. For the rest, I had to fill in the blanks myself. During my long search for the supplementary translations, I was encouraged to seek publication and share the work with others. What are your thoughts upon the publication of this book? It is all very humbling, especially when I compare my own work to that of all these venerable translators and hymn-writers. I hope mine at least convey a sense of the original. If they are singable, so much the better. But I am excited too about having such an extensive collection of authors and translators in one book. I know that to have my own copy and receive the instruction and encouragement of these authors as a reader, rather than just a translator, will be a welcome and rewarding experience.